Over the weekend I discovered that a whole bunch of my favourite Dungeons & Dragons games from yesteryear had been released on GOG. We’re talking old games here; the kind you need DOSBOX to run, and developed and published by the now (sadly) defunct SSI. These games have been on GOG for a while now, but as a new discovery for me (and I really have no idea how I missed them), this is exciting stuff, because I grew up playing these games over and over again, and the chance to replay them again is a literal dream come true. So for anyone looking to take a trip back to when Dungeons & Dragons was a fearsome video game franchise, I’ve listed my favourite five titles to bear the name below. 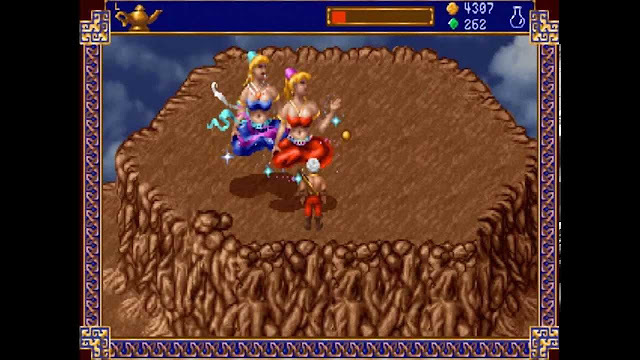 Before Atari dragged the series through the mud, SSI was all about faithfully recreating everything that genuine fans loved about Dungeons & Dragons, and the franchise was right up there with Might & Magic, Wizardry, and the early Elder Scrolls titles as the premier western RPG franchise. Back in the day, Dungeons & Dragons featured a large number of different “settings” for the fantasy to take place. Some of these settings were the kind of Lord of the Rings-like dark European-style fantasy that we typically associate Dungeons & Dragons with these days, but there were others; Ravenloft was a gothic horror setting, Dark Sun was a Mad Max-like wasteland setting. 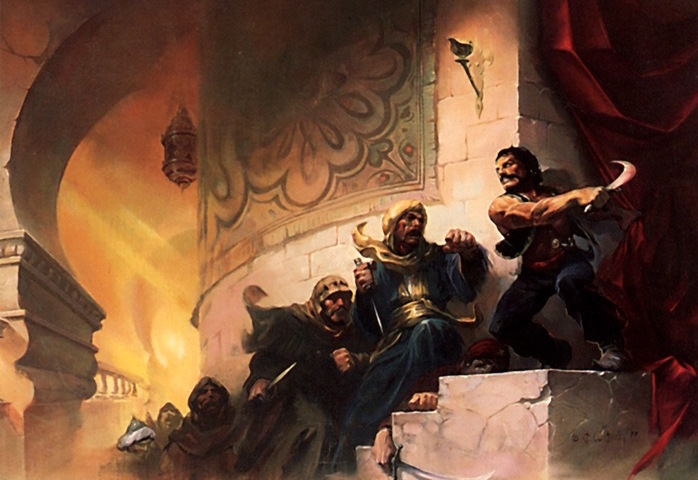 And Al-Qadim was Dungeons & Dragons by way of 1001 Arabian Nights. As we all know, I love that kind of fantasy, and yes indeed did I spend a lot of time playing the only game to ever be set in it. Unlike most Dungeons & Dragons video games, this wasn’t really an RPG. It was more like a Zelda title, in which players would explore exotic worlds filled with genies, magic, sands, oasis’, and political intrigue. If there’s any one RPG setting I would love to see someone revisit, it’s this one. That name’s not going to mean much to people who don’t know Dungeons & Dragons, but for the rest of us, yes, the game set in the city of the Dark Elves, and Drizzt Do’Urden’s birthplace, really is that good. One of the most ambitious Dungeons & Dragons projects of all time, this was a high adventure title of the highest order, and I would argue perhaps the most under appreciated truly great RPG ever. It’s never mentioned in the same league as Morrowind, but it sure as heck deserves to be. Deep underground there's a city of pure evil called Menzoberranzan, where the chaotic evil Dark Elves somehow come together as a society. It is a world of intrigue, insane politics, pure danger, and absolute malevolence. Trying to escape this city is going to be a real challenge, to say the least. 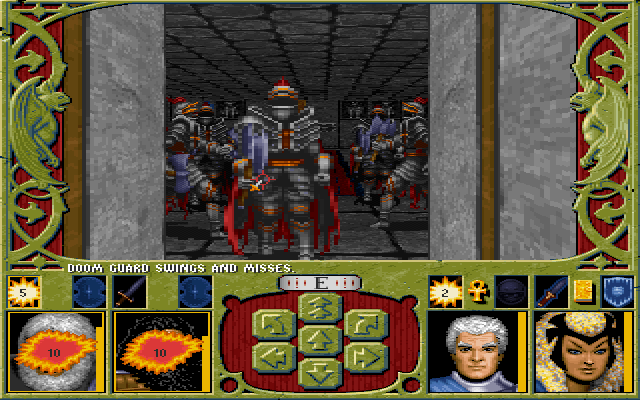 Primitive as it might look by today's standards, at the time Menzoberranzan was a truly immersive experience, and one of the rare RPGs of that era that had the confidence to challenge players with more than health-sapping traps and combat encounters. 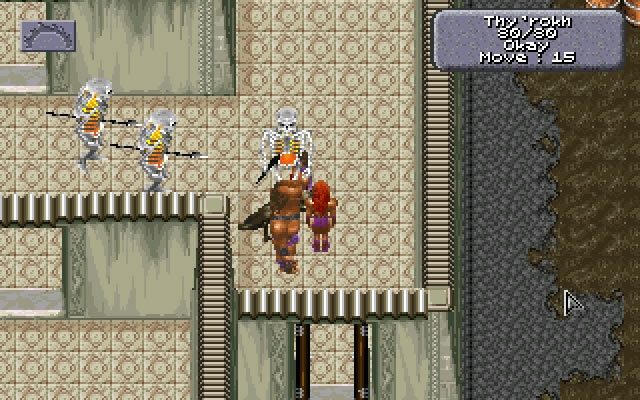 Horror is a difficult genre to mix with RPG mechanics. Especially the modern RPG, which is so heavily focused on mechanics and systems that empower the player. Think about it: even those dark, difficult RPGs with horror themes like Bloodborne and Demon’s Souls place ultimate control over what happens in your hands, and whether you succeed or fail is, ultimately, in your hands. But true horror - and what the Ravenloft setting has always been about - is taking as much control away from the players as possible. True horror is being powerless. Stone Prophet doesn’t get this nailed down perfectly, either - I can’t think of a single horror RPG that has. But what Stone Prophet does remarkably well is set an atmosphere. 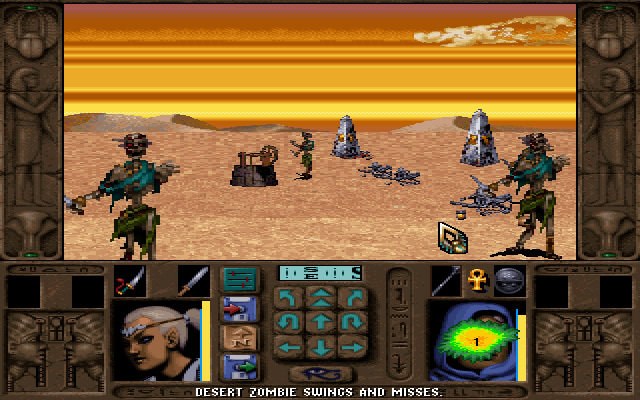 Set smack-bang in the middle of an Egyptian setting with a very angry mummy about to wake up, the game first traps players in an environment where there is no escape, and then makes them face communities of people barely scraping by, pestilence, every demon a desert could throw at a person and, most subtly and insidiously of all, the very real threat of thirst. This game gave me real nightmares as a kid. And I loved it. Strahd is to Dungeons & Dragons what Dracula is to literature. He is the hellspawn from the dead. But he is also one classy, cool, likable villain. He oozes charisma and his castle is a traditional gothic playground of death and undeath. I never found Strahd’s Possession frightening (well, except that I was terrified that I’d trigger one of its numerous bugs - be careful with this game, it is indeed buggy). Perhaps because I was literally growing up with gothic horror from about the time I could read (no, seriously, I was ripping through Frankenstein when my classmates were struggling through Roald Dahl, I was a precocious reader), but I found the setting to be fascinating with the way it made use of a dark, drab melancholia as a backdrop for fantastic creatures and real evil. Strahd’s Possession, bugs aside, gave me that kind of environment to roam around, and take the fight to a truly iconic villain of one of my favourite games. If you are only going to play one Dungeons & Dragons game from this list, however, make it Dark Sun: Wake of the Ravager. Because it has everything. Blasted landscape where people barely scrape by and simply survival is an achievement? Check! Obscenely powerful despot? Check! Secret society of freedom fighters that are trying to take the depot down? Check! But I’ll tell you a little story about how this game hooked me in for life; it was one of the first games I had ever played where my actions had a truly meaningful impact on how the narrative played out. At one point I joined with the secret society, but after completing a mission for them, I returned to discover that they were under attack by the despot’s forces. If I helped fight, I was in for a tough fight, but key characters would survive and I would be able to draw on their support and they would provide me information further down the track. If I ran away, not only would they all be dead when I returned, but they would be reincarnated as undead and attack me! And from there I’d need to figure out what I’d need to do next by myself. Related reading: Wake of the Ravager: The greatest forgotten RPG. I know this sounds simple by today’s standards, but Wake of the Ravager provided me with an open experience quite unlike anything I’d encountered before, and having the control I did over where I went and what I did was perhaps the first time I was really “sold” on video games as a storytelling medium. Anyway. This is my weekend sorted. You should really consider grabbing one of these five yourself.